This year has proven to be another productive one for Minerva Canada in delivering our message and promoting Health and Safety (H&S) education and awareness to all Canadian universities and colleges. With our activities and awards, we have reached out to over 150 new engineering and business professors with educational teaching materials. We’ve also interfaced with over 100 undergraduate students through our awards program and sponsored projects. In addition, 2011 will see three new case studies added to our website. I’m proud to report that we have begun our most ambitious project ever. Minerva Canada is developing and piloting undergraduate engineering student H&S teaching modules, all with the help of several universities in Ontario and Alberta. Our mission to see more H&S added to the core curriculum of post-secondary teaching institutions is far from over. We are a volunteer not-for-profit organization that must rely on continued government and corporate funding to get our work done. I invite you to get involved. More information on Minerva sponsorship opportunities can be found on our website or by contacting us at minerva@safetymanagementeducation.com. I wish to thank our many volunteers from industry, government, academia, and H&S professional associations who make up our Board of Directors and Working Committee for their endless dedication and assistance. I am also grateful to our many sponsors whose continued support and financial assistance make our efforts at Minerva Canada possible. I hope you will enjoy this edition of Minerva Update. Never hesitate to contact us atMinerva@safetymanagementeducation.com with comments and suggestions. One of these speakers included Elizabeth Mills, CEO of Workplace Safety and Prevention Services (WSPS), who addressed instilling a culture of safety. 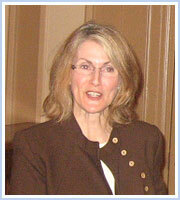 “Elizabeth really set the tone with her message of the leadership necessary to make organizational change,” says Dr. Graeme Norval, Associate Chair and Undergraduate Coordinator of the Department of Chemical Engineering and Applied Chemistry, University of Toronto, and Chair of the Minerva Summer Institute. “Culture requires top down commitment and building systems from the bottom up,” Elizabeth said. “We can create a generation of graduates who have a fundamental belief they can go home safely and supervise people with that belief.” She emphasized there are many resources available to help universities do that, and encouraged participants to utilize them. For example, Workplace Safety and Prevention Services helps companies build health and safety into how people think, act and behave and can provide opportunities to improve culture. 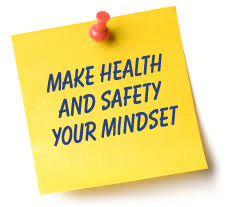 Do you have a personal belief system and commitment around safety? Are you taking a leadership role and engaging people? How can you create a culture to support health and safety? Their key message? The tools used will depend on the state of culture in an organization. For example, the visible culture may include a policy to lock out all equipment before using, whereas the invisible culture may include a norm that it’s ok not to do this when in a hurry. Another highlight of the Summer Institute was a presentation byRoy Slack, CEO of Cementation Canada, a mining company that played a key role in the Chilean mine rescue since the company had its drilling machine – one of the largest in the world – nearby. It was used to drill a pilot hole through which supplies were lowered to the trapped miners.In outlining the state of mine safety in Chile, he said it is a country of extremes, with some of the most advanced companies along with some smaller operations. The fatality rate is high, with 1% of the world’s labour force but 8% of the world’s fatalities. Opened in 1889, the San Jose mine did not comply with legislation and operated with improper mining techniques. For example, there was no escape way for miners if a ramp or shaft collapsed. Would your facilities stand up to the scrutiny of the San Jose mine? Do you have a viable second means of egress in your workplace and home? When it comes to safety, do you have a good system for employee feedback and do you action any concerns? Does profit come before people? If not, are you sure you’re communicating that effectively? Dinner speaker Jacinta O’Brien, Chair of the Canadian Engineering Accreditation Board, addressed CEAB’s change to the new graduate attribute criteria, explaining that engineers must consider safety, health and the welfare of the public in all they do. “The role of safety is reinforced by the criteria,” she said, adding that CEAB did not make it a stand-alone because safety has to be intuitive and the best way to incorporate it is as a thread throughout the whole curriculum. Get students thinking about safety in terms of making them aware of it rather than trying to turn them into experts. Since students from the ‘extreme’ generation may view some risks as acceptable, recalibrate their tolerance for risk by using graphic, shocking images of accidents to drive home the point. 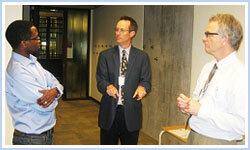 Utilize field trips, videos and case studies as teaching tools, and invite industry representatives as guest speakers. Access resource material from Minerva and others like Safety and Chemical Engineering Education (SAChE). To get a feel for the Institute, check out our YouTube video on the Minerva website. A highlight of this year’s Partners In Prevention Health and Safety conference, held in Toronto and hosted by Health & Safety Ontario, was a panel discussion, moderated by Amanda Lang, co-host of the Lang & O’Leary Exchange. 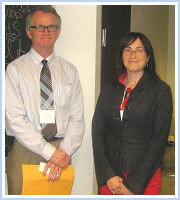 The session was sponsored by Workplace Safety and Prevention Services, Minerva Canada and the Conference Board of Canada. The panelists included: Ted Moroz, President, The Beer Store and Brewers Distributor Limited, Roy Slack, President, Cementation Canada Inc., Frank Saunders, Vice President, Nuclear Oversight and Regulatory Affairs, Bruce Power, and Steve Jones, President, The People Bank. Moroz: In the early 2000’s, we adopted health and safety as a core value and health and safety initiatives are front and centre in everyone’s score cards. Our commitment to health and safety was also negotiated into the collective agreement. Saunders: We built trust first by telling employees to stop any work if they were not sure it was safe. If so, change procedures would then be generated. Slack: We established a corporate culture of safety through the managers and supervisors. It can be challenging to get new people on board as soon as possible rather than having them dilute the culture. Jones: We focus on activities like worksite inspections because looking at results is too late – they’re a lagging indicator. Moroz: We are the keeper of the keys and have to live and breathe health and safety if we expect people to embrace it. I attend as many training sessions as possible. It’s also important for CEOs to surround themselves with people who share the same values. Slack: Our published values are an opportunity to demonstrate commitment. The CEO has a lot of control over what the values are, and must visibly demonstrate commitment. Saunders: Visibility is key because people believe what they see. For example, the subject of safety should be raised frequently in the executive boardroom. Frequent communication throughout the organization is also very important. Jones: I believe what you measure is what you get. Communicate to people how, when and why you are measuring and tie that into compensation. Jones: We all measure the same standard things such as lost time injuries and medical aid frequency but those are results. It’s important to focus on activities that get results and they must be very specific and measurable and attainable. Everything measured should be in a timeframe and the more frequent, the better. Moroz: We developed a home-grown model and found best practices in industry. We branded our health and safety program as “Getting to Zero”. Slack: We started out with an adaptive model, taking the best from what we saw. There was a step change after we asked employees in focus groups what is working and what is not, and then started a number of initiatives based on their input. Saunders: There are standards to follow in our industry and we do our customizing. The first big step is to understand the risks of your business and then build a program around that. Jones: Tap into safety groups and associations that bring together best practices. This is a really cost-effective way to find them. We achieved a 98% reduction in claims costs over seven years due to tapping into these resources and best practices. A supporter of the teaching of health and safety in Canadian universities, Robert’s most recent contributions are case studies, written for Minerva Canada and focused on Health and Safety for theICBC competition. He also plans to write two more case studies for next year’s competition. We are compiling videos for YouTube uploading that will highlight key Minerva activities and people’s experiences teaching health and safety in the classroom. Stay tuned! The winners of this year’s James Ham Safe Design Award – Ryerson University engineering undergraduate students Vikram Sharma, Jon Zorzi, Husain Amiji and Mohammad Khan – were presented with their awards at the Minerva Summer Institute in May. The team designed an On Board Emergency Derail, which could be activated by a crew member of a runaway train. Team leader Husain was thrilled to win the award because “students usually only think of function and aesthetics, not safety.” For the father of three who witnessed a tragic accident when he worked as a train conductor back in 2006, safety is very personal. “It’s an issue connected to my heart,” he explains, “and I’m very passionate about it. If something is not safe, it should not be produced. “When we won, I felt validated that my idea was not crazy. We thought outside the box to design something controversial.” He adds that the team will put the $3,500 prize towards patenting the design and making it more practical. [left to right] Second place James Ham Safe Design Award winners Mohammed Mohammed, Nasr Mustafa, Fady Ghabros and Mazen Shehada of Queen’s University shown here with Minerva Board member Vic Pakalnis, also of Queen’s University. 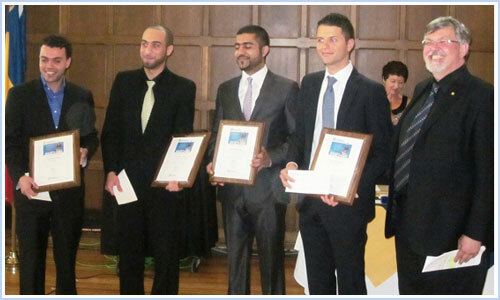 The Queen’s University team of Mohammed Mohammed, Nasr Mustafa, Fady Ghabros andMazen Shehada took second prize of $1,500 for their design of a Temporary Free Standing Guardrail system to enhance fall protection capabilities. 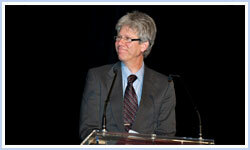 The award honours James Milton Ham whose Royal Commission Report on Health and Safety led to the creation of Ontario’s Occupational Health and Safety Act in 1979 and the adoption of the Internal Responsibility System in Ontario workplaces. The winning teams were honoured by Minerva Canada President and CEO Tony Pasteris and other Board members during ceremonies at each of the two universities. Award submissions are judged annually by members of Minerva’s Board and Working Committee. [front row, left to right] Minerva Canada Chairman and President Tony Pasteris with ICBC winners Kirsten Tiedje and Christopher Labrecque from Concordia University and Minerva Board member and judge Vic Pakalnis, Department of Mining Engineering, Queen’s University. 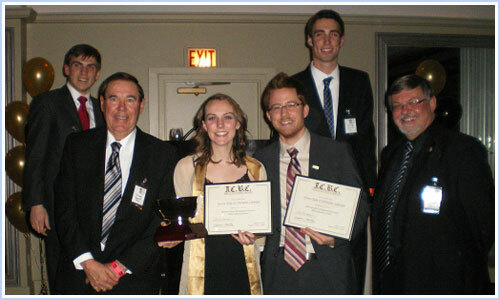 [Back row] Co-chairs of the 2011 ICBC Matthew Zaffino and Doug Reeves. For the second year, Minerva Canada sponsored the Health and Safety Human Resources event at the Inter Collegiate Business Competition (ICBC), Canada’s premier undergraduate business case competition which brings together the brightest students from top business schools across North America, Asia and around the world, held at Queen’s University in January. Minerva Board membersNina Mankovitz, Frank Saunders, Peter Sturm, Marcel Pouliot, Vic Pakalnis and Minerva Canada President Tony Pasteris acted as judges of the six student team presentations in the final round. Final round competitors are given four and a half hours to prepare a 15-minute oral presentation before the judges. In addition, the final round includes an entertaining debating event. Two case studies, a preliminary and final, were written by Rob Hickey, Business Professor, Queen’s Industrial Relations, who will produce two additional case studies for the 2011-2012 competition. The case studies will eventually be posted to the Minerva website. The other three finalists were Wilfred Laurier, Hong Kong Polytechnic University and Saint Mary’s University. Congratulations to all six university teams for very professional presentations. 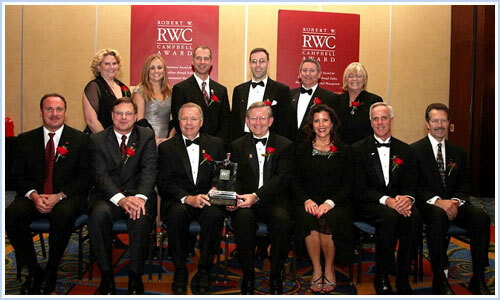 Congratulations to 2010 National Safety Council’s Robert W. Campbell Award winner Dow Chemical Company. The Robert W. Campbell Award, which has Minerva Canada as one of its global partners, recognizes organizations that demonstrate how integration of environmental, health and safety (EH&S) management within business operations is a cornerstone of their corporate success. EH&S efforts have been viewed as critical to Dow’s success throughout its 113-year history. Dow’s 2005 goals set the company apart in EH&S and advanced a “drive to zero” culture companywide. Its achievements did not come at the expense of business performance. By investing close to $1 billion in improving resource productivity, such as reducing energy usage, wastewater generation, and chemical emissions, Dow achieved a return of more than $5 billion in direct cost avoidance, future and contingent liabilities avoidance, as well as intangible internal costs. In addition, the company has saved an estimated $1 billion alone in avoidance of injuries, illnesses, leaks, breaks, and spills. It is currently working toward its 2015 Sustainability Goals, which go far beyond reducing injuries and environmental releases. Minerva Board Member Len Hong was involved in assessing the 2010 entries in the competition. Minerva Canada is a long-time supporter of the Campbell Awards. 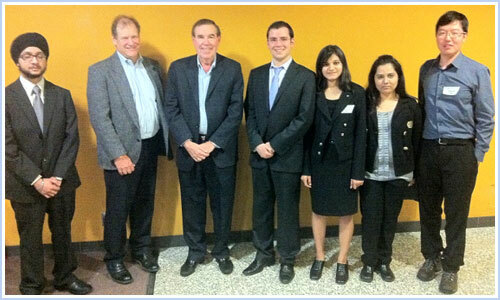 [left to right] University of Toronto student Deepkanwal Plaha, Tony Pasteris, shown with other members of the University of Toronto student team, Ryan Ren, Irtifa Khan, Rashmi Patil, and Pouya Yasrebi, who have created a plan for a Minerva student webpage. Earlier this year, Minerva sponsored a first year University of Toronto engineering student project to create a Minerva student webpage. The page, designed by a University of Toronto team of five as part of their course workload, is in response to the question, “What kind of information should students have available on health and safety?” The goal is for the students to define what that web page will contain and, once completed, Minerva will build it based on the team’s research and recommendations. Minerva was also involved in another University of Toronto engineering student project to assess engineering students’ knowledge of health and safety as they enter university. It also hopes to be involved in a project to survey industry’s needs in H&S education from engineering and business graduates they hire. The intelligence gathered from these surveys will be used to help guide the Minerva-sponsoredteaching module content. It is designed to cover H&S education needs for all four years of undergraduate engineering and will be made available to Canadian universities. We heartily congratulate Marc Rosen, Professor and Founding Dean, Faculty of Engineering and Applied Science, University of Ontario Institute of Technology, for being selected in November by his peers for membership into an assembly of extraordinary alumni, the University of Toronto’s Engineering Hall of Distinction. The careers of the members stand as examples and add a sense of reality to the aspirations of successive generations of engineering students. As an educator and scholar, Marc has transformed educational institutions throughout his career and made exemplary contributions to research. “Because the University of Toronto has such a strong international reputation for its engineering program, it felt really good to be recognized by that university,” says Marc. Explain the engineer’s obligations to public safety. The three seminars had students reviewing various H&S material found on the internet, including a Minerva case study, and the material was subsequently discussed in class with the students. Minerva will continue providing this teaching assistance in 2011. In May, Tony Pasteris was invited to attend the National Education Symposium in Halifax, hosted by the Board of Canadian Registered Safety Professionals (BCRSP) and attended by educators of Canadian occupational health and safety teaching institutions. The BCRSP is the certifying body for occupational health and safety professionals. The CRSP designation is a widely accepted form of recognition by industry and governments across Canada. 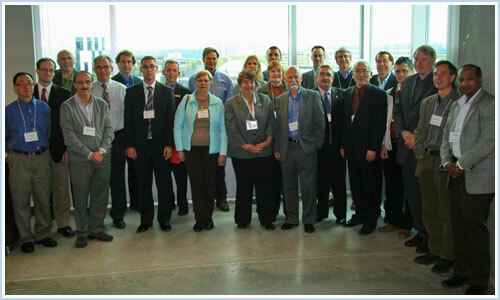 The Canadian Engineering Education Association (CEEA), a new membership-based association comprising engineering educators from many of the engineering schools across Canada, held its second annual conference in June 2011 at Memorial University in St. John’s. Minerva was there to kick off the conference and to help weave a theme of safety throughout the proceedings. 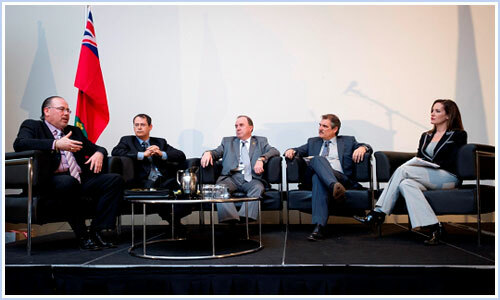 Graeme Norval [third from left] discusses safety with colleagues at the 2nd annual CEEA conference in June, 2011. The first morning provided a forum for all of the conference participants to hear Tony Pasterisintroduce the mission, vision and goals of Minerva Canada. Vic Pakalnis (Queen’s University) andGraeme Norval (University of Toronto) were on hand to lead a lively and interactive workshop on the fundamentals of health and safety, as well as to host other sessions within the conference. They introduced faculty who had not been exposed to industrial safety standards and management systems to ensure that they left with an understanding of SHE fundamentals, as well as various tools and information which they could use in their courses. Participants were shown the variety of teaching resources (prepared lectures, case studies, on-line tests) that are already developed and readily available. A follow up to the standing-room-only workshop on the final day of the conference provided a review and discussion of case study resources for faculty who were trying to incorporate OH&S material in their course curriculum. Minerva Canada was also instrumental in bringing in Roy Slack, President of Cementation Canada, to talk about the company’s experience during the 2010 Copiapó mining accident when part of the San José copper-gold mine in the Atacama Desert near Copiapó, Chile, collapsed, leaving 33 men trapped 700 meters below ground. The Terraservice group (that partnered with Cementation) was the first drilling contractor to break a hole through to confirm that the workers were alive. Roy gave a brief overview of that drilling program and the rescue in general, the lessons learned from which are universally relevant. 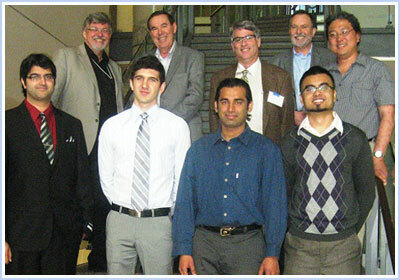 The Canadian Engineering Education Association 3rd Annual Meeting – Examining Future Directions for Engineering Education – will be held in Winnipeg, June 17 – 20, 2012. The local arrangements Committee intends to feature three workshops, including a Minerva developed Safety workshop that builds on the success of the 2011 offering in St. John’s. Details regarding the Conference and the workshops can be found at www.ceea.ca. An application has been submitted to the Manitoba Workers Compensation Board for three years of financial support for an Engineer-in-Residence in the Faculty of Engineering at the University of Manitoba. If funded, this person would teach the University’s First Year Safety course and act as the Coordinator for Minerva Manitoba. An additional application has been made to the University of Manitoba to extend the Chair in Design Engineering that Ron Britton has held since 2001. A new Design Engineering Chair would allow the continuation of the association with Minerva that characterized Ron’s Chair. Stay tuned! 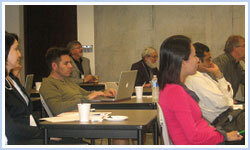 For the second consecutive year, the University of Calgary hosted the Minerva Alberta Learning Forum in May 2011. A total of 38 participants from industry, government, universities and colleges gathered and shared their views on health and safety in the region through panel discussions and one-on-one interaction. The focus of the forum was on promoting health and safety education in the engineering and business schools across Alberta to prevent injuries and deaths in the workplace. 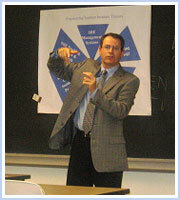 Sessions included the Fundamentals of Process Safety and Risk Management and some leading practices to teach them. Another highlight was a panel-led lively discussion on what industry wants to see from university graduates. “I appreciated the friendly, passionate, active atmosphere, and absolutely loved hearing from the experienced speakers,” said one participant. Many thanks to Anis Haque, Department of Electrical and Computer Engineering, University of Calgary and a Minerva Board member, for all his hard work pulling the forum together. Instructor, Electrical and Computer Engineering Dept. 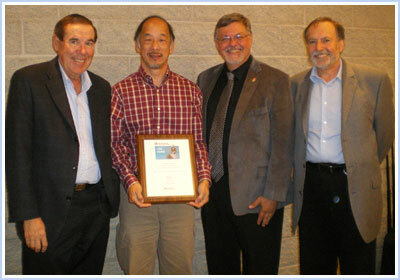 [left to right] Tony Pasteris, Len Hong, Vic Pakalnis and Renzo Dalla Via following the presentation of a plaque to retiring Board Member Len, commemorating his many valuable years of service to Minerva Canada. A special thank you goes to Len Hong, recently retired President & CEO, Canadian Centre for Occupational Health & Safety, for his unwavering support and many contributions to the organization over the years, as both a Board Member and the Co-chair of the Ontario Working Committee. 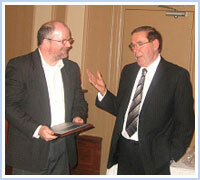 We also extend a heartfelt thank you to retiring Minerva board members Doug McCutcheon,Professor, Engineering Safety and Risk, Management Program, Faculty of Engineering, University of Alberta, and Paul Bates, Dean, DeGroote School of Business, McMaster University, for their numerous and much-appreciated contributions to Minerva over the years. Dr. Anis Haque, Professor, Electrical and Computer Engineering Dept., University of Calgary, andNina Mankovitz, General Manager, Safety and Health, Canada Post. 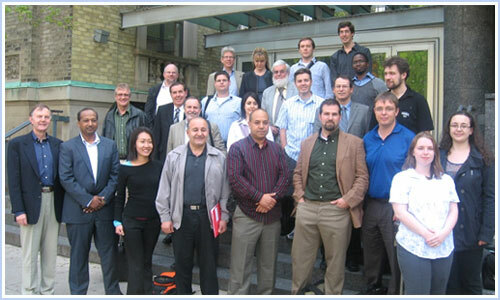 The development of engineering student teaching modules by Minerva for use by engineering schools at Canadian universities got underway in 2011. The estimated three-year $100,000 Minerva Canada project will include participation from academia and Minerva’s key industry and government supporters. The modules, ranging from one to three hours, will be designed to cover H&S education needs for all four years of undergraduate engineering. Generic in nature, the modules will build on existing case studies, including those on Minerva’s website and will also incorporate e-learning modules. Research for content will also focus on the needs of academia, industry, government, H&S associations and the Canadian Engineering Accreditation Board. A steering committee, including Minerva Board members, will oversee the project. Once deployed, it’s also expected that many of these modules can be used by other university and college Faculties and Departments (e.g. Business schools, Healthcare, OHS colleges etc.). Five universities – the University of Toronto, Queen’s University, University of Western Ontario, the University of Calgary and the University of Alberta – have agreed to assist Minerva with developing the modules and pilot the modules. Module development for first year students is underway under the leadership of Vic Pakalnis of Queen’s University – all five universities are expected to pilot the first year modules by the end of 2012. Subject matter experts from industry, government and health and safety associations will be asked to be guest speakers at universities and deliver some of the modules when requested by universities. Funding for the project will be sought from government and industry, with funds given to the five universities to develop the modules. For more information about the modules and how to support this initiative, contact Minerva@safetymanagementeducation.com. Stay tuned on this ambitious project from Minerva Canada. Board member Dr. Anis Haque, Electrical and Computer Engineering Dept., University of Calgary, is preparing a case study on SNC Lavalin, with expected completion by the end of this year. Watch for details. Dr. Robert Hickey, Business Professor, Queen’s University, who wrote two case studies for Minerva’s business student competition at the ICBC, will produce two additional case studies for the 2011-2012 competition. 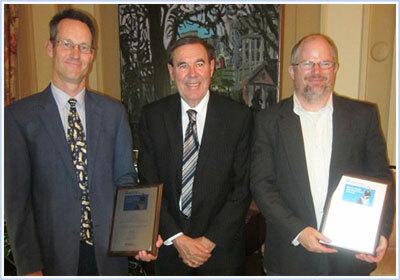 Winning submissions from award recipients between 2004 and 2009 (BAPCO, Fluor Hanford, GPIC and Schneider Electric) are now available on the R.W. Campbell website. Download here. Tony Dean, Chair, Expert Advisory Panel on Occupational Health and Safety, and speaker at last year’s Minerva Summer Institute, has released his Report and Recommendations to the Ontario Minister of Labour following the Panel’s comprehensive review of Ontario’s occupational health and safety system. 1 877 494 9777 ext 2114.